Bacchus Taverna has launched a new early evening menu which offers some of their most popular dishes. 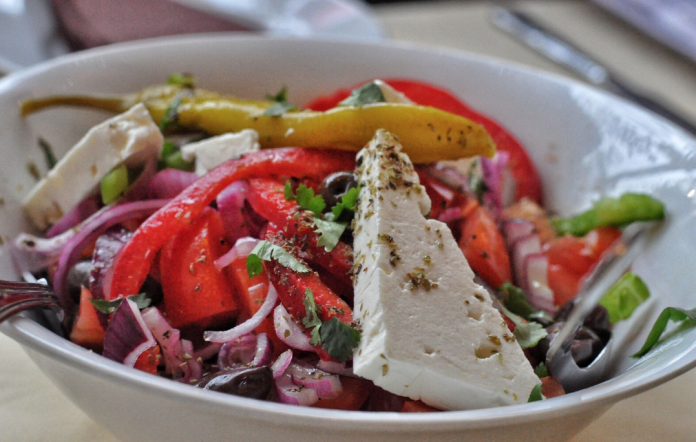 The dock road favourite is a real hidden gem, serving traditional Greek favourites, very much as you’d get it on the isle of Samos, where owner Diamantis hails from. The special offers two starters, two mains and a bottle of house wine for £35 on Mondays to Thursdays from 4.30-7pm. Starters on the menu include a selection of fantastic dips, with home-made taramasalata, hummus, tsatziki and slow roast beetroot served with warm fresh bread, or the excellent Greek salad with olives and feta dressed with olive oil, vinegar and oregano. 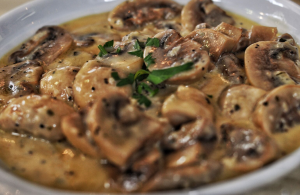 The garlic mushrooms are a real treat, with a butter, cream and wine sauce that begs to be mopped up with the fluffy bread. On the mains list, meat-lovers will adore the pork, lamb and chicken kebabs, so lean and healthy they’re a firm favourite with some of the city’s best-known athletes. There’s also a halloumi version. The Bacchus moussaka is the best this side of Athens, made to a traditional family recipe, with meat or vegetarian options. All mains all served with rice, roast potatoes and green beans. Di is a real food lover, and a perfectionist – he is usually up before dawn every morning getting the best produce from the markets. His food is made with love, and served in large portions. Wash it all down with a bottle of house wine, and dream of Greek sunshine. Bacchus Taverna, 0151 255 1661, 14 Waterloo Road, Liverpool L3 7BB, www.bacchustaverna.co.uk.